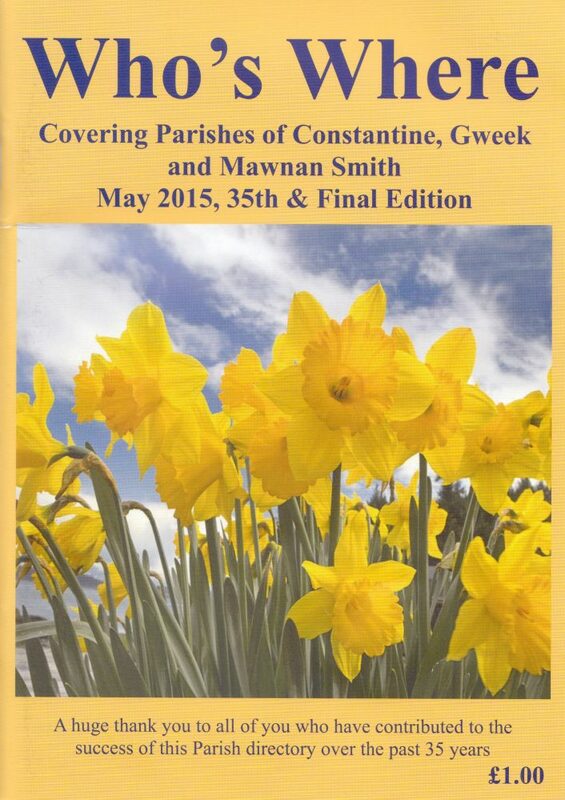 In May 2015 Liz Moore published the 35th and perhaps final edition of ‘Who’s Where’ for Constantine, Gweek and Mawnan Smith. It may be that someone will take up the challenge and publish the 36th edition next year, but in any case we have an opportunity to keep the ‘Who’s Where’ going here on the web. We’ve reorganised the entries and added a search facility. Each entry now has its own card and there’s an opportunity to add links and photos. Please review your entry and email us your corrections, additions or deletions. To list an organisation here, or to update an existing listing, please just send us an email.